I harvested and processed fresh cilantro from the garden today. Once your cilantro is ready for harvesting, cut from the plant, discard and brown leaves and wash. I then let it dry on a paper towel overnight. Lastly, I dry my cilantro for later use. 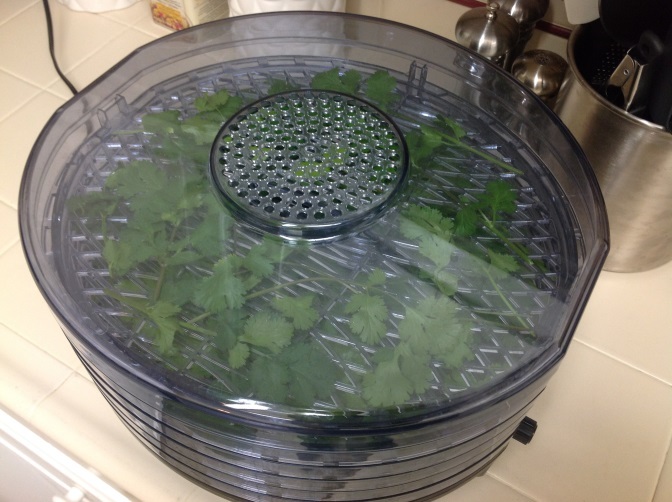 Using this type of drying approach, the cilantro will stay for up to 24 months. Nice herb drier … where can I get one?